Two young engineers decided to open a pub in the new happening district of Badaro. 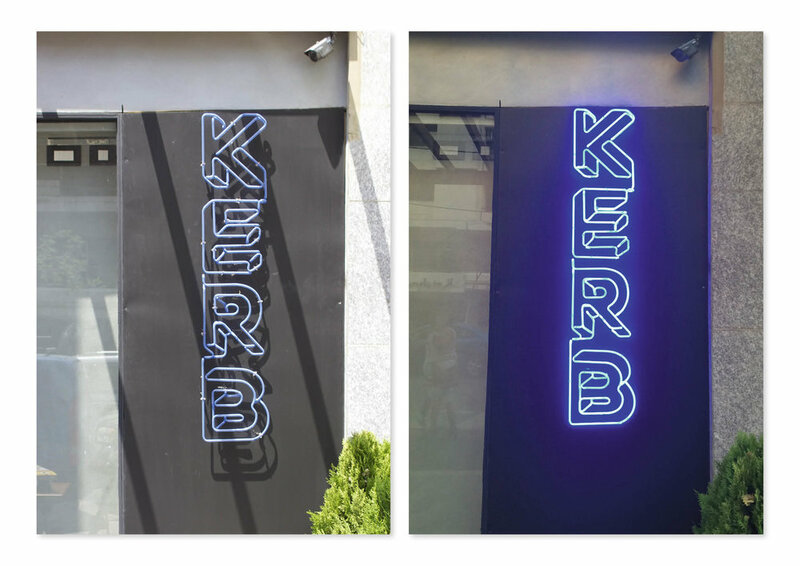 Kerb, an intentional misspelling of the term meaning stone or concrete edging to a street, needed a visual identity that set it apart from its competition. The owners technical background and the name inspired -scope Ateliers to design a linear logo with seemingly impossible letterforms, curbed edges, and “street-smart” applications.